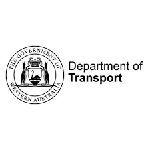 The Department of Transport WA is embarking on a transformational project “Single Seamless Access to Transport” that will connect all Transport services onto one service offering and shared platform. This in turn will eventually integrate all contact centres and customer services into one. The success of this transformation isn’t primarily about the technology; first and foremost it is about people - staff and customers. In this session, Steve will discuss how the Department is onboarding, supporting and developing their staff to prepare for the change and how to ensure performance and engagement is maintained throughout the transformation. A recent Contact Centre industry report reveals that the average tenure for full-time agents is just under 4 years. With a new generation of employees entering the workforce and the potential increase of home-based and flexible work arrangements, meeting the needs of your employees and keeping them engaged can be challenging. Traditional KPIs are no longer effective in measuring performance and collaboration has become a necessity for employees to feel valued. This workshop will explore engagement and retention strategies to ensure your contact centre remains high performing, moving away from traditional methods and looking to deeply analyse exactly what your staff needs, expects and will keep them motivated for years to come.